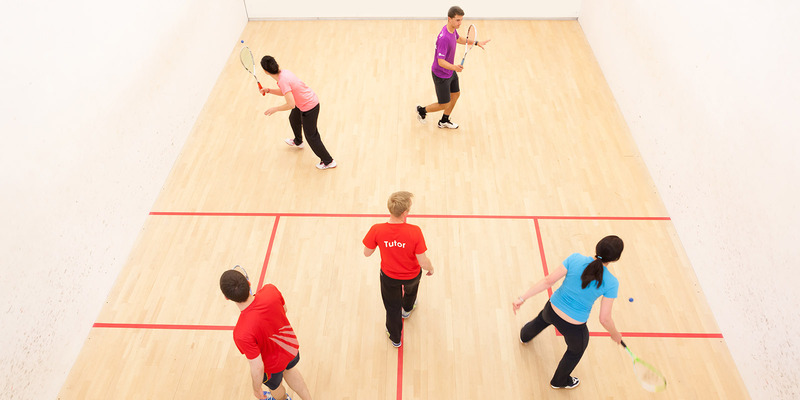 A three-day contact time qualification during which candidates will learn the skills required to deliver the technical and tactical requirements of squash to juniors and adults at beginner and intermediate level, through the delivery of individual and group lessons. Candidates will learn how to analyse player’s needs, plan for a series of lessons and to operate as a Club Coach. Who it's for: Level 1 coaches wishing to take their tactical and technical coaching to the next level. There are approximately six weeks in between days two and three of the qualification - during which you will be required to conduct player analysis, plan, deliver and evaluate six lessons (two individual and four group lessons). You will also need to complete a number of coaching scenario based questions. Your course tutor will provide ongoing support throughout the duration of the Award. Plan and deliver a programme of progressive individual and group training sessions in accordance with England Squash coaching philosophy. Implement 'how to coach' skills to create an inclusive, player centered and positive learning environment. Deliver the player pathway from entry to club level, ensuring players maximise their desired potential. Posses an open mind set, taking responsibility for own personal development. To develop effective squash communities. have an up-to-date England Squash Disclosure & Barring Service (DBS) enhanced check. The course costs £260 and you must be and England Squash coach member (Coaching Membershipcosts £40 and includes Public Liability Insurance). You will also need to hold an up to date England Squash DBS Enhanced Disclosure (approx. £18), safeguarding training (approx. £20) and First Aid qualification.